Over the last 20 years the face of Australian mortgage lending has been transformed by the development of the mortgage broking industry. All Australian borrowers owe a debt of significant financial and emotional gratitude to the brokers who assisted, together with non-bank securitisation businesses, in breaking the stranglehold that a small number of large banks had on mortgage lending prior to that. This transformation saw bank margins on home loans crunched from 4% down to the 2% level they have broadly remained at ever since and contributed to significantly improved lending solutions, delivering what borrowers really want. 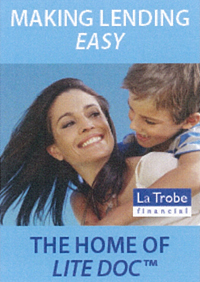 Independent, non-bank lenders like La Trobe Financial have always had a role in the mortgage landscape. 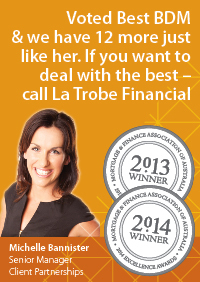 La Trobe Financial has been lending for over 60 years. 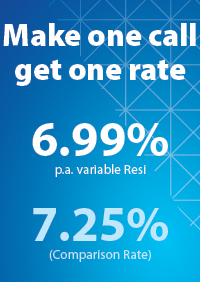 But it took both the major and independent funding lines provided by capital markets through securitisation (RMBS) and a major alternate retail distribution model, provided by thousands of brokers nationally, to offer a ubiquitous lending alternate, known across the Australian population. In the mid-1990s, Australians’ national awareness of this transformation was literally captured and characterised by the face of this change, as Aussie John Simonds’ iconic advertising campaign hammered the “we’ll save you” message into the then Australian vernacular. 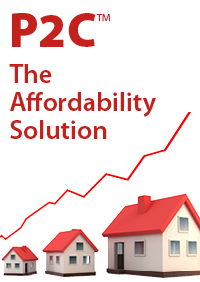 Over the next 20 years hundreds of billions of dollars of home loans, for millions of retail borrowers would be directed through the broker channel, as brokers presented the opportunity to “beat the banks”, find the home owner the best deal and to make it clear that lending included additional, high quality lending solutions for borrowers whom the banks locked out of home ownership. Never again would mortgage lending be the same. 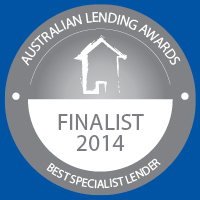 Today the Australian mortgage landscape has up to 12,000 brokers offering consumers competitive home loan products. These brokers, appropriately known as the third party channel, presently support close to 50% of loans settled in Australia. The majority of these loans of course still go through the banks, with their ongoing dominance of funding, but securitisation has now returned strongly and matured from its ‘coming of age’ test, to empower the non-bank lenders that brought the alternates to Australian borrowers, primarily through the brokers. Competition is flourishing once more and looks set to stay. 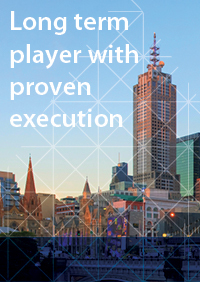 Australia’s broker aggregation businesses have of course developed alongside the brokers themselves. Aggregators bring brokers together under brand names and technology platforms, facilitating origination, offering commercial cultures and support, training, technical and industry information and compliance assurance. This industry has rationalised in recent years with significant changes in ownership, to leave a clear group of national operators. These operators have a remarkably diverse profile for businesses all assisting borrowers with the same essential product – a tribute to the commercial exploration that is endemic to healthy competition in a sound and relatively low capital cost environment. Whilst all aggregator models aim to offer brokers the best capability and results from servicing retail mortgage borrowers, they differ materially in key aspects of how this is done. 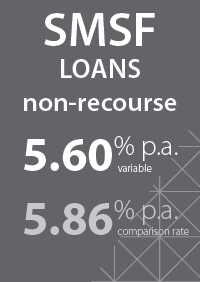 For brokers this offers a strong range of alternates in terms of suiting their own preferences and needs, empowering and leveraging their capability to focus on sourcing and settling loans. 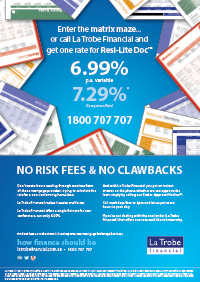 As a long term commercial partner to this sector, La Trobe Financial observes that strong competition between aggregators results in better offerings to brokers. This is a genuinely competitive landscape where continual improvement matters if an aggregator wants to retain and grow its broker base. Brokers are ongoing beneficiaries, as they should be with their strong value proposition. Retail branding (essentially assisting the sourcing of deal flow). 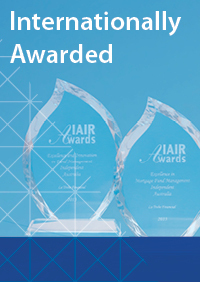 The level of licensing responsibility and empowerment is a further differentiator. Higher level support in these for example, has played a big role in developing the franchisee model at one end of the spectrum. Support for alternate products is an emerging offering as the industry evolves, ranging from other types of lending (eg commercial property and equipment finance) through to financial planning offerings. For brokers, the key is selecting aggregators by identifying important characteristics that suit their own business profile, needs, risk management and stage. Aggregators undertake a lot of work to ensure brokers and potential brokers understand their offering and this is an ongoing process. It is sure to remain so that brokers and aggregators continue to evolve, particularly as various technologies likely accelerate their impact on some aspects of loan origination. This means that whilst some aspects of both broker and aggregators’ profile are relatively stable, others are evolving, adapting and responding to opportunity and demand. We have presented our version of a simple compare and contrast between the leading aggregators in a table below. In doing so we aim to present the information on the basis of the aggregators’ own characterisation; a representation rather than a critique.